According to the Histories of Herodotus, Rhampsinitus was a pharaoh of Egypt who ordered the construction of a secure storehouse for his wealth. However, the architect in charge of the storehouse's construction installed a secret entrance into it without the pharaoh's knowledge. The architect later told his two sons about the secret entrance, which they then used to help themselves to a share of the pharaoh's treasure. Unable to detect how the thieves were getting in, Rhampsinitus ordered a man-trap to be placed inside the storehouse, and the next time the thieves got in, one of them was caught by the trap. As there was no chance of escape, the remaining thief cut off his brother's head to prevent identification. Nevertheless, Rhampsinitus held onto the headless body and ordered his soldier's to look out for anyone showing signs of recent bereavement. Through a ruse involving a pair of donkeys, a cartload of wine and some arguably irresponsible guards, the thief was able to recover his brother's body from the pharaoh, escaping both capture and his mother's complaints about his brother's mistreatment. Rhampsinitus therefore came up with another scheme to catch the thief: he ordered his daughter to offer herself up in a brothel to whoever would tell her the greatest misdeed he had committed. The thief did indeed confess his crimes to the daughter, who was apparently just that enticing. 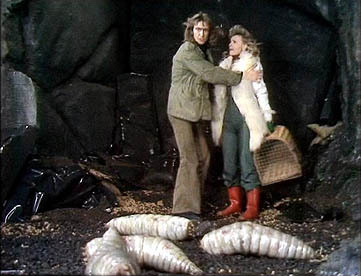 But when she attempted to grab hold of him and call for the guards, he escaped by palming a hand cut from a body that he had hidden up her sleeve. When he was told how the thief had eluded him again, Rhampsinitus was so impressed by the man's audacity and cunning that he ordered him pardoned. When the man came forward, Rhampsinitus gave him his daughter for a wife. 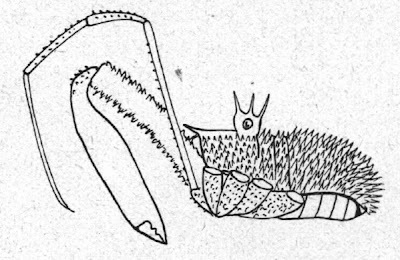 Male Rhampsinitus hispidus, from Roewer (1923). This would appear to be a species that lives up to its name; others are not quite so flagrantly spinose. Modern historians agree that Rhampsinitus probably never existed, at least not as he was portrayed by Herodotus (while the accusation that Herodotus was the 'father of lies' is more than a little unfair, it must be admitted that he was not always one to let a little thing like historical accuracy stand in the way of a good story). Nevertheless, his name lives on today in southern Africa: in 1879, the French arachnologist Eugene Simon gave the name Rhampsinitus to a genus of long-legged harvestmen. 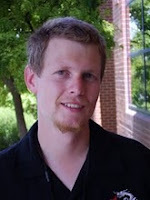 Simon did not give any explanation for his choice, and it is possible that there was no direct reason: many authors gave random classical names to genera. 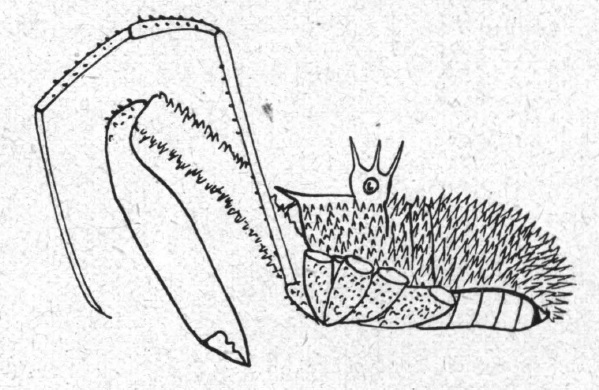 Alternatively, it may be that the crown of denticles on the eyemound of this genus inspired Simon to give it a suitably regal name. The long-legged harvestman fauna of sub-Saharan Africa is dominated by members of the subfamily Phalangiinae, which largely have the region to themselves except a few relictual Neopilionidae restricted to the southernmost part of the continent. Rhampsinitus is currently the largest recognised genus of African phalangiines, with over forty species. The centre of diversity for the genus is in the southern region, but it extends north to Zaire, Uganda and Kenya (possibly to Somalia, though the assignment of the Somalian species to Rhampsinitus has been questioned—Staręga 2009). Rhampsinitus is one of a group of African phalangiines (including Guruia and Dacnopilio, but not Cristina) in which the males have enlarged chelicerae similar to those of Australasian 'monoscutids'*. In the absence of a formal phylogenetic study of the Phalangiinae, it remains an open question whether these large-chelicerate genera form a clade. Schönhofer (2008) looked briefly at variation in male chelicera length (which can be considerable) within one species, Rhampsinitus transvaalicus; his results suggest an allometric relationship between body size and chelicera length for this species at least. *A few years back, I was sent a pile of 'monoscutids' from the California Academy of Sciences to identify. While they're still waiting for me in the cupboard (sorry, guys! ), I could see when I unpacked them that many were in fact African phalangiines that had been misidentified due to this character. 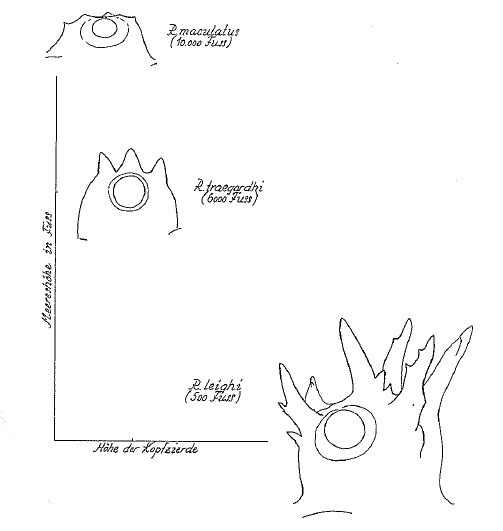 Relationship between altitude and eyemound ornamentation, as illustrated by Kauri (1961). A number of species in this genus have interesting distributions, often related to altitude. Thus, in South Africa, Rhampsinitus leighi is found in lowland habitat from sea level to 800 m, while R. transvaalicus inhabits montane forest above 1200 m (Staręga 2009). Kauri (1961) made a comparison of morphometrics and altitude in South African Rhampsinitus: montane species had much shorter legs relative to body size than the lowland R. leighi. There was also a difference in development of ornamentation: R. maculatus, collected at 10,000 feet above sea level, had the denticles on the eyemound reduced to mere spicules, in contrast to the ornate, almost antler-like outgrowths of R. leighi. Schönhofer, A. L. 2008. On harvestmen from the Soutpansberg, South Africa, with description of a new species of Monomontia (Arachnida: Opiliones). African Invertebrates 49 (2): 109-126. Herodotus' story raises a number of questions, among which - why did the thief not simply invent a misdeed he could truthfully disown should he end up in court? - and just how many others' misdeeds did the princess have to listen to before the thief's? Hey, it's allegory, no-one said that it had to make sense. Rhampsinitus was just lucky that the thief wasn't gay.